Venus vs. Muguruza: Who will raise the Wimbledon trophy? WIMBLEDON WOMEN’S FINAL – Venus Williams has won Wimbledon five times. When she was young, it looked like she could win every year. She was so fast, so determined, so into it. Her first serve was hard and dominating, her backhand could produce winners crosscourt and down the line. She was quick, she was aggressive, she could be steady. But things changed over the years. The last time that she won a major was 10 years ago, right here at Wimbledon. She beat her younger sister, Serena, who cried. Venus hugged her and, at that point, it was hard to say which one of those two would have more titles,and more Slams. But almost immediately, Serena rose up. Venus looked pretty good, but she couldn’t approach her best friend. Now, Serena has 23 Grand Slams while Venus has eight majors. Cleary, Serena is better than she is, but not much. 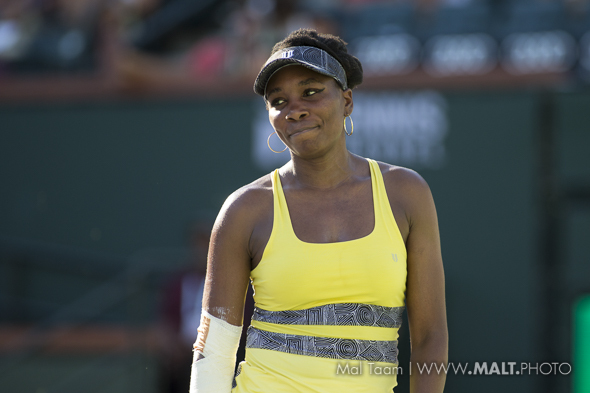 In fact, if Serena wasn’t playing tennis at all, Venus could have 15 majors. In reality, though, Serena has a much better second serve, forehand and concentration. Venus is 36 years old and, at least during the past 12 days at 2017 Wimbledon, she actually looked fantastic. She is a little slower than she used to be, but her forehand is deeper and she is very adept at the net. She can return, too. Is she the favorite against Garbine Muguruza in the final on Saturday? That is a very tough one, because over the past six weeks, the Spaniard finally calmed down, became consistent and very smart. Yes, she is fast and she can smoke her first serve, her forehand and backhand. She likes to go for it. Muguruza won Roland Garros last year. She is not too young, she is not too old, she is right in the middle. She will not get nervous. It will go to three sets and, on match point, Venus will sprint to the left, take her two-handed backhand, swing it as hard as she can and kiss it on the line. Number nine for Ms. Williams.